Please find below two copies of the Ofsted report following the recent visit. One is the original report and one is highlighted for ease of reading to indicate positive comments and any areas for improvement. If you would like a paper copy, please ask at the office. You can find all our previous reports from Ofsted here. 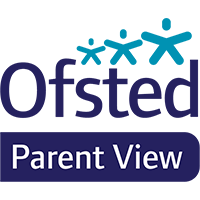 You can also see feedback from some of our parents on the Ofsted Parent View page. These documents from the Standards and Testing Agency explain the SATs results in year 2 and year 6. At the end of Reception (Early Years Foundation Stage) 58% of our pupils reached a Good Level of Development (GLD), which is below the national figure of 72%. At the end of Year 1, 79% of our pupils met the expected standard in phonics, which is below the national figure of 83%. Pupils’ results are also converted to ‘scaled scores’ in reading and maths at the end of Key Stage 2. In 2018 our average scaled score was 100.8 in reading and 100.2 in maths, slightly above the expected standard scaled score of 100. Progress figures at the end of Key Stage 2 show how much children have improved from Key Stage 1. In 2018, the cohort progress figures were -1.2 in reading, -0.4 in writing and -1.8 in maths. The national average progress score is 0.0 and therefore in 2018 Year 6 made below average progress in all core subjects. However, each of these figures have improved from 2017. You can see more detail about our Key Stage 2 results in the Department for Education's performance tables.